A popping sound in a house drain can be an indicator for several potential problems. Household drains require drain traps to prevent sewer gas from backing up into the home. Additionally, drain systems use vents to allow water to flow freely into the sewer or septic system. A problem in either of these systems may present with an audible popping sound. Water should drain quickly and freely through your drains, without backing up or bubbling. When presented with a drain problem, one option is to assume there is a clog and treat accordingly. Forego caustic chemical clog remover in favor of a good old-fashioned plunger. 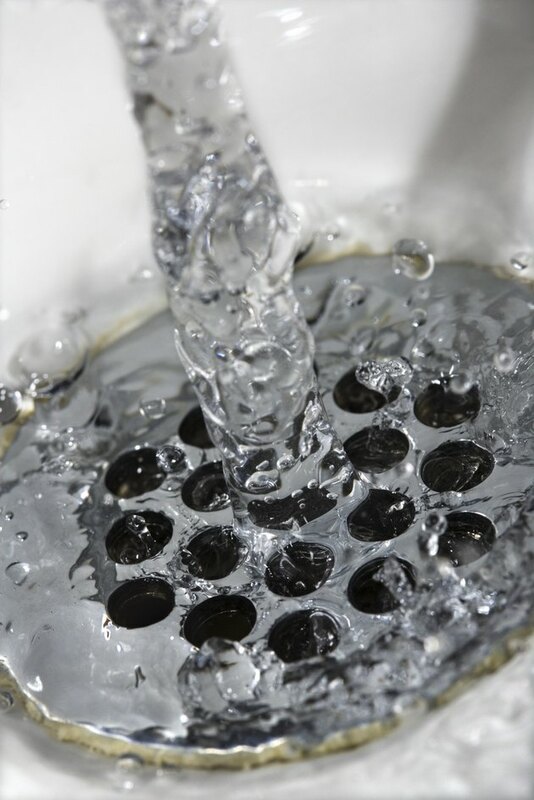 A clog in the drain may only allow water to pass through intermittently, which would lead to your popping issue. Plunge your drain several times and see if the popping sound goes away. Some older plumbing installations, especially those comprised of metals such as steel or iron, may pop due to changing temperatures when very hot or very cold water is drained. A good way to test to see if temperature is the issue is to check if the popping occurs when only the cold water is on. Next, repeat the test with only hot water. If temperature is the issue, the only solution is to replace your plumbing with modern piping material such as PVC. Drain traps are elbow pieces of pipe that remain filled with water and are situated between household drains and the municipal sewer system or septic tank. The water in the trap seals off sewer gas, preventing it from backing up into the home. If a drain does not have a trap, there may be a strong foul odor emanating from that drain, along with a popping noise. The popping noise is the sewer gas emerging from the drain. As sewer gas can be a fire hazard and hazardous to your health, you'll need to install a drain trap. Drain vents are vertical pipes that allow air to be pulled into the drain system. This helps prevent a vacuum from forming behind draining water and keeps the drain system moving freely. A drain that is not vented properly may drain very slowly and cause a series of popping sounds. Drain vents typically vent outside the house by way of a rooftop vent pipe. These pipes can become clogged with debris and may need to be cleaned out from time to time. Once the vent is identified, snake a garden hose down the pipe and use it to clean out any accumulated clogs.